A Nigerian businessman who duped Chinese companies of N49.6m hasbeen arraigned before a Lagos Magistrates’ Court for stealing. The businessman, Vincent Igwe, allegedly obtained the sum of N49,600,000 from the management of Chinese companies, LIAO MEIMEI and ZONK KAI under false pretence. The accused was arrested by operatives of the Police Special Fraud Unit, Milverton Road, Ikoyi, Lagos and charged before an Igbosere Magistrates’ Court, Lagos on a two-count charge of felony, to wit, obtaining money under false pretence and stealing. 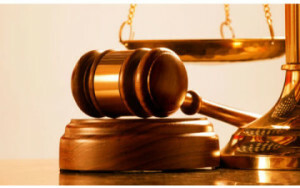 Police prosecutor, Inspector Adoga Amedu informed the court in charge No A/38/2016 that the accused committed the alleged offence in 2016 at Surulere, Lagos. Amedu told the Court that the accused collected N49.6m from the management of LIAO MEIMEI and ZONK KAI situated at 20, Olukile Street, Surulere, Lagos under the pretence of supplying them wooden logs, but he converted the money to his personal use and escaped. He said the accused was trailed and arrested at a hideout following a petition by the complainant. Amedu said the offences committed are punishable under sections 312(a)(b)(3) and 285 of the Ccriminal Laws of Lagos State, 2011. Igwe pleaded not guilty to the alleged crime in the open court, and Chief Magistrate A.O Sholadoye admitted him on bail in the sum of N1m with two sureties in like sum. Sholadoye adjourned the case till 3 July, 2016 for mention, while the defendant was moved to Ikoyi Prison, Lagos pending the fulfillment of his bail conditions.